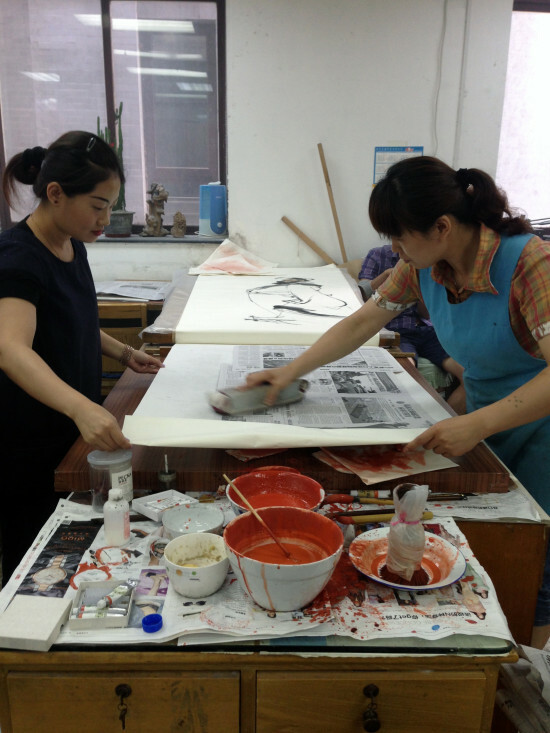 RISD Department of Printmaking, with the support of the Global Engagement and Curricular Development Fund, is proud to host three experts from the woodblock printing studio of Rongbaozhai (Beijing, China). Rongbaozhai, Studio of Glorious Treasures, began as a paper and stationary shop founded over 300 years ago. It is a joint private-government owned publishing enterprise that currently comprises of eleven companies in addition to the hand printing studio. The woodblock operation has been designated an Intangible Cultural Heritage property by the Chinese Government. 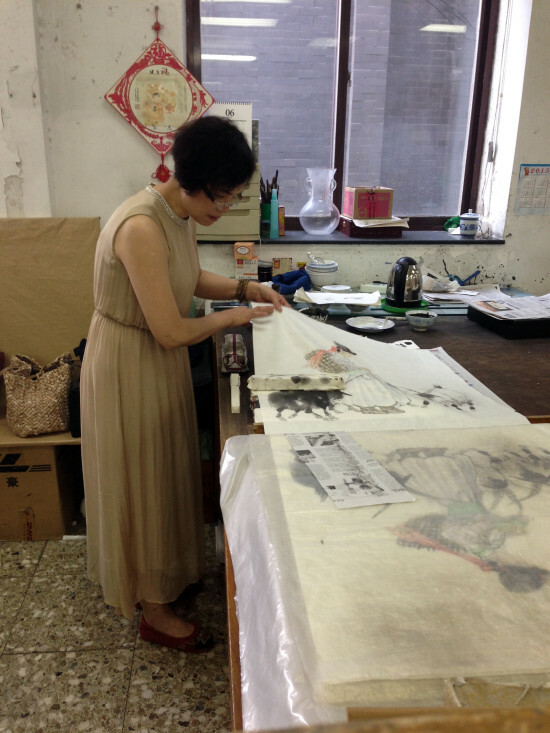 The woodblock printing department continues the tradition of three-color woodblock prints on silk. It currently employs thirty printers, eight carvers, and five transformers who represent the highest level of skill in Muban shuiyin douban, the watermark composite woodblock technique. Our guests, Chen Ming, Liu Baoxiang, and Lu Min, will present their work and demonstrate their process during the week of April 23 to 30, 2016. The Rockefeller Gallery (RISD Museum) is currently exhibiting a group of traditional and contemporary Chinese and Japanese woodblock prints, processes and tools from Rongbaozhai and other Chinese and Japanese printers. Watch out for forthcoming programming announcements related to this unique program. More information on the Global Engagement and Curricular Development Fund can be found here.